Imagine you show up to work one fine Monday and Bruce Clay is sitting in the desk next to yours with one item on his agenda: teach you the foundations of SEO from the ground up. The lesson plan includes everything you need to get your website ranking, from how to do keyword research, to technical optimization, designing for mobile-friendliness and semantic markup. To help you hit the ground running, Bruce has brought with him 10 free SEO tools to make each of your lessons active; not only are you learning about keyword research, you’re actually doing keyword research. You’re not just learning about the importance of a natural inbound link profile, you’re actually using tools to learn more about your own inbound link profile as well as the profile of your competition. So you’re getting world-class training and access to hands-on tools straight from Bruce Clay — all at your own desk. Now, return to real life. Ready for the good news? With the new online SEO tutorial from Bruce Clay, Inc. you can essentially have the learning experience mentioned above for free. While Bruce won’t physically be in the office with you, you will have a step-by-step course that walks you through his methodologies with 10 free tools at your disposal. The new-and-improved SEO tutorial is an ethics-based online training course created to help marketers understand and apply industry best practices. At 19,982 words, the course is deliberately thorough. Those new to search engine optimization are invited to read from beginning to end for an all-in-one ramp up. For those with more optimization experience, we’ve split the course up into 18 steps on individual pages to make it easy to navigate to the section most relevant to your needs. New to this version of the tutorial are expanded lessons on structured data markup, mobile SEO, and UX optimization. We believe in active learning and retention through engagement. To close the gap between education and application, throughout this course we’ve included 10 free tools that help you immediately put the skills you are learning into action. 18 sections is a lot of training; why wait until you’re done with the tutorial to start applying the skills you’re learning? Instead, this training system allows you to get hands-on while the ideas are still fresh, with light versions of our tools embedded at each appropriate step of the tutorial. Get Started Strengthening Your SEO Core! The Bruce Clay, Inc. SEO tutorial is live now. To get started with this foundations course, choose a chapter from the list below and jump in feet first. Step 2: Competitive Research – Who’s Your SEO Competition? We hope you enjoy this course as much as we’ve enjoyed making it. Please tell us what you think in the comments below. Your SEO blogs are indeed great. Those tutorials sections looks great and organized. However, the link building section is rather focusing on building on-site content instead of telling people how to get back links. Nice blog you have explain the SEO tools freely. Fantastic,Descriptive and useful information post.Thanks! Really great post and Thanks for sharing..
Hello Rudra! Thanks for reaching out to learn more about our free SEO educational resources. First, let me clarify about the SEO Tutorial that Chelsea is sharing here in this post and the login-required SEO training video that’s giving you a roadblock. Both are useful resources that you may want to check out, but first, I recommend you view the new SEO Tutorial. 1. The SEO Tutorial: This is a step-by-step, 20-webpage guide with free SEO tools embedded in-line with instructions and SEO best practices. If you plan to *do SEO* for your own site or business, this is a great place to start. There’s no login necessary to view it. Just go here to start: https://www.bruceclay.com/seo/search-engine-optimization.htm. 2. The Executives Guide to SEO: This is a 111-minute video course geared for marketing managers and executives. The video explains how search engines and SEO work, providing some technical background so good decisions can be made related to resource and inter-departmental management. To view it, you do need to login. This allows viewers to save their place if they leave and come back to the course. Go here https://www.bruceclay.com/seo/free-executive-seo-guide.htm and if it is your first time using the course, read the instructions on the right side of the page (“Is this your first time here?”) Basically, enter any username and password that you’d like into the login fields. That will be your login info from here out. If the username you chose is already taken, you’ll be asked to try another name. I am working in a company which offers Internet Marketing Services in India. I have been working in the field of SEO for the last 6 months. So, there is much more to learn everyday. I tried to avail your free SEO training campaign, but they need me to login before continuing the training. but there is only the option to Login. No registration option is available for any new user. I am interested to gain the knowledge. So please update me about how to register and learn SEO . You are very welcome, Jerome. Appreciate the feedback, and happy to hear the course was helpful for you! Thank you very much for this course. I was searching for a course like this. Almost all SEO topics were covered in a very detailed manner. I have learned the new tools regarding SEO from this blog. I’ll have to download this and go through to see what new tricks I can pick up … thanks so much for all the hard work that went into this free project! Looks like these tutorials pack a whole lot of useful information. 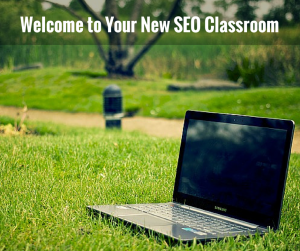 A very generous work by Bruce Clay for SEO newbies. Will recommend it as additional reading to my students. “Merry *Blinking* Christmas to all, and to all.. go learn SEO!” I like the ring of that, Gerald. Glad we could help you get what you wanted for Christmas this year! Free is our favorite four-letter word, Hizmeti. We really wanted to make a tutorial that allowed you to learn by doing, and including free tools within the lesson seemed like the best way to make that happen. Thanks for the bookmark, and for passing the tutorial along! What are you providing in this page is priceless. I really did appreciate not only providing this info but also the tools for free of use to save heaps of time. 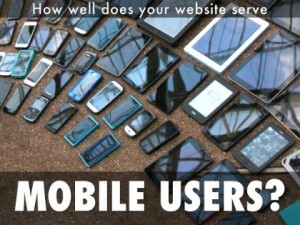 I’m already book marked this website to share with who can not afford to hire seo firm. Chelsea thank you so much for the valuable insight. I am looking forward to see your next article. Yes, Naman! This post is a great companion guide to the Bruce Clay SEO Tutorial, especially if you know what you need to do — like, “Make your Meta tags more competitive” — but are not sure which step will help you solve the problem. Thanks for the bookmark; glad I could help! Great….now all the info is compiled in one post – thanks chelsea ..gonna bookmark this one. This is FANTASTIC! Thanks Bruce.